Enquire today, play golf tomorrow! Begin your personalised golf travel journey by ringing us on +64 (09) 3924658 and talk to Linton who will gladly help you with your questions or inquiries. If your phone call is unanswered leave us a message and we will contact you back as soon as possible! 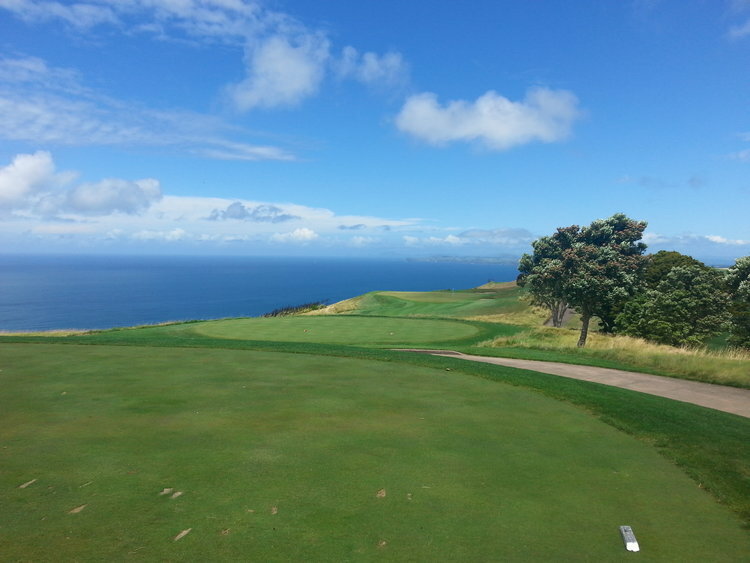 Imagine yourself in the picture below playing golf at Kauri Cliffs, New Zealand's premier golf course! Please complete the form below and we will be in touch very soon! Message - let us know what type of tour you are after - how many days, 4/5 star accommodation?, guided or transported? Thank you very much for getting in contact with us. Your enquiry and your golf travel needs are very important to us so we will respond to your message faster than a ball hit down the 18th fairway with a M6 driver…..well maybe not, but we will be in contact very soon! In the meantime, read more about our New Zealand tours here and watch the promotional video of our exciting Premium Cup event here. Get in touch even if you are unsure about the tour price or particular dates that you want to travel, as we prefer to work with our customers to create bespoke packages that are customised to YOUR golf travel needs! Not ready to book? Sign up to our newsletter below or follow us on Facebook where Premium Golf NZ clients receive preferential rates and exclusive access to selected events, tournaments and exciting offerings! Be in to win prizes and receive complimentary rounds and golf related stuff by signing up with your email address to receive news and updates.